Another interesting aspect of Crowdfunding is that it is a type of “participatory culture.” People have to participate in order for the campaigns to succeed. No campaign can work without the crowd. Why should we discuss participatory culture? Because one must understand how people in a fandom participate within its culture to really understand why fans give of themselves so much. Fans participate in just about any way possible when it comes to their favorite media object and I hope to explain why, but first let’s talk about the fans. Fandoms have been around for quite some time. 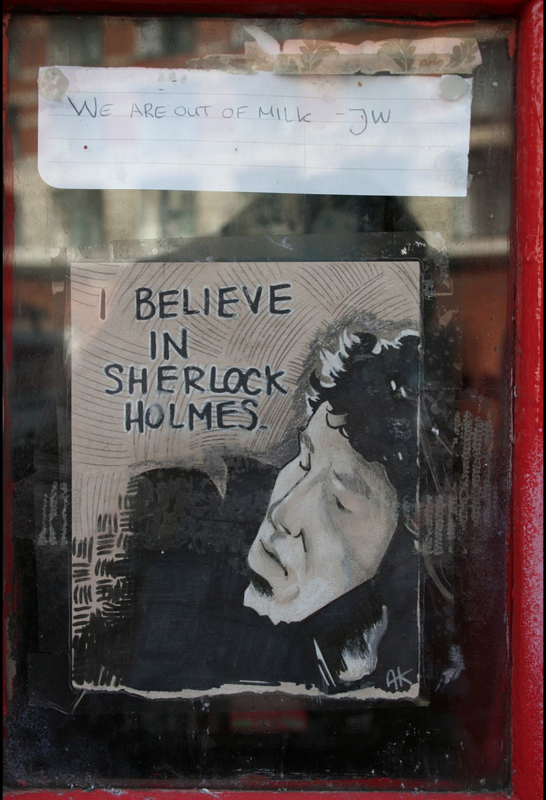 The first noted fandom involved British writer, Sir Arthur Conan Doyle, and his character of Sherlock Holmes in 1887. Fans of the book were known to write their own fan fiction and even mourned after Holmes was killed off in 1893. The fans of the fictional character, Sherlock Holmes, were the first recorded fandom (Wikipedia, 2015). From Sherlock came the Western modern science fiction fandom, which started around the 1930s with the first science fiction convention in 1939 (Wikipedia, 2015). The 1970s gave way to media fandom, which split from science fiction to other mediums focusing more on the characters within movies and television shows, such as Star Trek or Dark Shadows, and the characters of Captain James T. Kirk, Spock, or Barnabas Collins. Fan art, as well as fan fiction, also came about at this time because of the fan’s idea of how their favorite characters should be depicted in these mediums. Western culture was not the only one building up fandoms; in Japan there was a huge following for Anime and Manga as far back as the early 60s (Wikipedia, 2015). Fans are joining fandoms all over the globe. So why does one become a fan and join in on a fandom? In a nutshell, fans join for a place to belong. Katherine Larson and Lynn Zubernis are two college professors; they are intelligent, strong empowered women who have a love for a TV show called, Supernatural. They loved being fans so much that they wrote a book about it. In their book, Fangasm, Supernatural Fangirls (2013), they explain why a person becomes a fan and joins a fandom. First and foremost they found a community, a place where they could share their love of all things Supernatural. Secondly, they were accepted for their self-expression and were able to find kindred spirits who shared the same love. Most importantly they realized that being a fan was not just about being accepted for differences, but also receiving validation for those differences (Larson, K., & Zubernis, L., 2013). 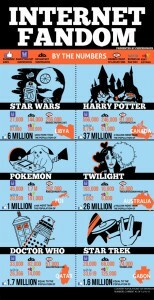 Fandom has grown quite a bit since Sherlock Holmes’ day. Currently, there are all kinds of fandoms and some even overlapping each other. We have Bronyies – grown men who like My Little Pony, Potterheads – fans of Harry Potter; and Whovians– fans of Doctor Who. 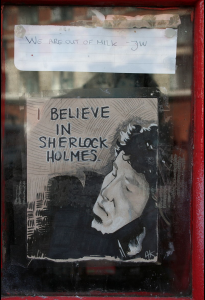 There’s also a growing fan-base for the MTV produced television show called Teen Wolf, and yet again another growing fandom for Sherlock Holmes who call themselves “Sherlockians” from the BBC television series called, Sherlock (Moffat, 2010). All of these fandoms provide a participatory culture. What exactly is a participatory culture? Fandoms are an organized subculture, a participatory culture involving people who enjoy and share the same likes of a particular medium. In the Henry Jenkin’s edited book Confronting the Challenges of Participatory Culture: Media Education in the 21st Century (2014) it states, “A participatory culture is a culture with relatively low barriers to artistic expression and civic engagement, strong support for creating and sharing creations, and some type of informal mentorship whereby experienced participants pass along knowledge to novices” (Jenkins, et.al., 2014, p.22). The 21st century offers participatory culture in a new way: online. The positives of participatory culture are the sharing of knowledge, creativity, and learning that takes place. Some fandoms offer substantial creativity and learning, for example the online fandom of Homestuck. 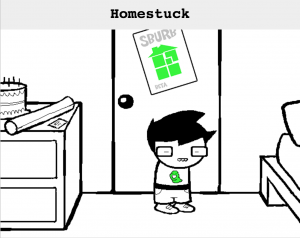 Homestuck is an online webcomic that is rather lengthy (it’s compared to the book Ulysses) and very much a fandom that requires interactivity with its fans. Fans help create storylines, add new characters, and offer ideas to the author, Andrew Hussie. Hussie’s stories are reader driven. Within his story, Hussie also offers little games and quizzes that the participant must finish before moving on. Homestuck fans are young with most still in high school (Hussie, 2011). The fans of Homestuck are creating art, developing strong literacy skills, as well as creating interactive medium ideas of their own. One of the most poignant of Hussie’s ideas is that of inclusion and offering characters that have disabilities or other issues that young people in the real world can relate to. Along with participation, there is a hierarchy in fandoms; there are those fans that hold a lot more importance than others. Fandoms are like any other culture; they are rife with attitudes, opinions and yes – even some of their own controversy and politics. One can be merely a member of a fandom, but there are those fans that wield more power, those fans are called “BNFs” (Big Name Fans). These fans receive more perks and are usually closer to their media objects than other fans. BNFs are given more notice than the average fan of any particular medium (Wikipedia, 2015). I liken BNFs to high school popularity. They are the cheerleaders, working and campaigning for their favorite team. Like the cheerleaders, the BNFs are the ones who are usually planning and creating the most for those fandoms, they are the ones that are the most involved. BNFs are celebrities in their own fandoms as well, with other fans seeking them out and even wanting autographs from them. Most other fans have ambivalent feelings, to put it mildly, toward these BNFs, and the BNFs themselves do not always want to be deemed arrogant or self-important (Wikipedia, 2015). BNFs are extremely devoted and see themselves as benefactors to the rest of their participatory culture. They may not necessarily vie for attention from the other fans, or want popularity within their culture, but they do want notice from their favorite media object. The higher the fan is in their culture, the more likely they will receive more from the media object, and I believe most BNFs know this. The important take-away here is that participatory culture and the hierarchy of fandom is an important factor to know when studying fans and why they give so readily to favorite media objects. Once a person discovers why a fan gives, it brings about a better understanding of who those fans are and essentially what makes them tick. Therefore, understanding fans and their culture will also bring about awareness and tolerance of those who are fooled by certain types of crowdfunding campaigns and may give too much. *Sidenote: Believe it or not there is a Kickstarter crowdfunding campaign going on for the creation of a BNF magazine. Check it out here. So far the campaign only has two backers and has earned 11 dollars of the $6000 it is asking for. The campaign has six days to go. Jenkins, H. (Ed. ), et. al., (2014). “Confronting the Challenges of Participatory Culture: Media Education for the 21st Century.” (The John D. and Catherine T. MacArthur Foundation Series on Digital Media and Learning). Kindle Edition. Next Post: Kickstarter,Veronica Mars and the Question of Fan Labor or Agency?